Agencies like the National Highway Traffic Safety Administration (NHTSA) publish car accident statistics on an annual basis. This data, along with data collected by the California DMV helps us to identify accident trends which can in turn show you what to avoid. In 2010 – 2012, the number of traffic fatalities dropped significantly. However, in 2013 and 2014 they started to climb again. In 2010, for example, there were 0.84 fatalities per 100 million miles driven and in 2013 that number was 0.94. The increase was mainly due to wrecks caused by drinking and driving. This is something for California drivers to be aware of in order to be more prepared when seeing someone that is driving erratically. Car accident statistics from NHTSA show that 21 percent of traffic-related fatalities happened in Los Angeles County in 2014. San Bernardino, Riverside, and San Diego County come in at 9 and 8, respectively. It is important to practice defensive driving regardless of where you live but it is also wise to know that you are at a greater risk statistically when driving in these areas. According to car accident statistics published by the U.S. Department of Transportation, 78 people were injured for every 100 million miles driven. This resulted in 2.313 million people injured in car accidents in the United States in 2013. 1.296 million injuries were to people in passenger cars. 750,000 injuries occurred in those riding or driving in a light truck. 24,000 injuries were to those in large trucks. 88,000 were to those riding a motorcycle. The USDOT also tracks where these accidents are taking place. In 2013, 17,696 people were killed in rural traffic accidents, 14,987 people were killed in urban traffic accidents. While fewer people tend to be on the road in rural areas, the speed limits also tend to be higher and visibility can be reduced, contributing to the more serious nature of rural accidents, even though the overall number of them is far less than in urban areas. Many of the state car accident statistics have been gathered due to the state-mandated reporting. After being in a wreck, you are required to complete and file a DMV accident form within ten days. Nationally, the USDOT, CDC, and NHTSA track this data, among others. 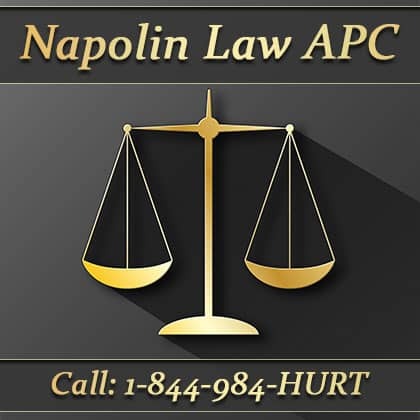 Regardless of the type of accident you were in or where it happened, you only have two years in the state of California to file a lawsuit. If you find yourself as one of the above car accident statistics, you can’t afford to wait or make attempts to deal with the insurance carrier alone. Contact us at 714-451-2006 or contact our office online immediately.